The good news: Zack Wheeler underwent “successful” Tommy John surgery to repair a torn UCL tendon and a torn flexor tendon in his right elbow. “He is expected to make a full recovery,” the Mets said in a statement. 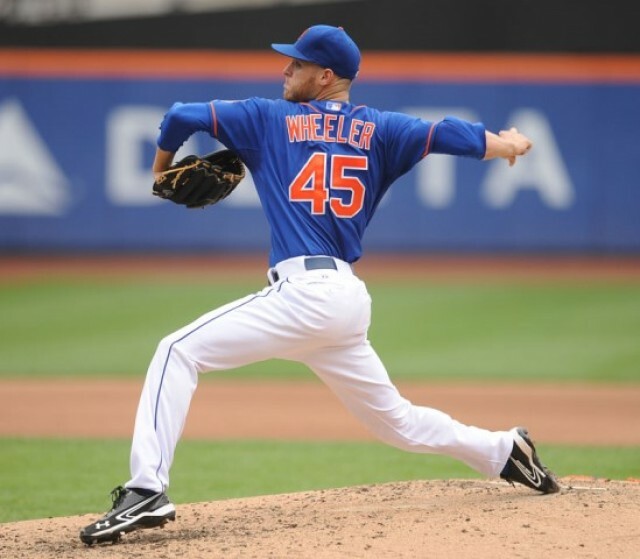 The bad news: Wheeler could have avoided the surgery, and not missed the entire 2015 season (as well as part of 2016). 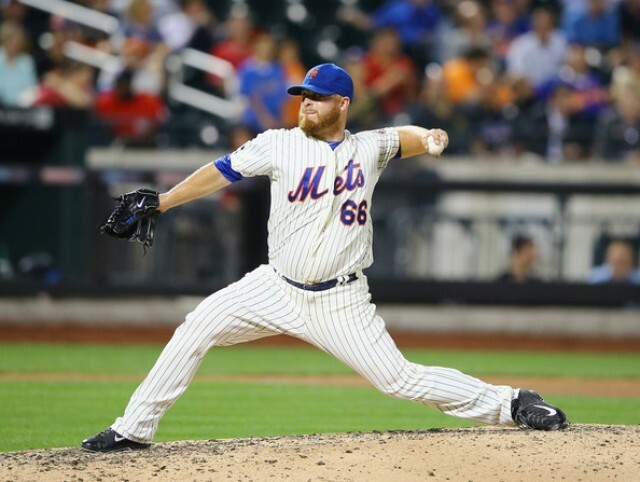 After a less-than-stellar performance over the weekend, and admitting to “elbow discomfort,” Mets lefty Josh Edgin underwent an MRI on Tuesday. According to various public reports, the “results” of the MRI is that Edgin has a “stretched” and “loose” elbow ligament. Prior to the MRI, there was plenty of conjecture from the Mets dugout. Because being a Mets fan isn’t infuriating enough, the team announced today that Matt Harvey has a partially torn UCL in his pitching arm. His injury will be evaluated over the next couple of weeks to see if surgery is necessary. It really depends on how partial the tear is. Harvey has swelling, but he had not been experiencing pain in the elbow prior to his last start, Alderson explained. He has been getting preventative treatment for his elbow since Spring Training, as well as recent treatment for his forearm. However, there was no indication of tenderness in the elbow until after his last start. There has to be a way to keep young pitchers healthy. 25 year-old Steven Strasburg, for example, has already had Tommy John surgery, recovered, and is now back to pitching full time. It’s not just a matter of curmudgeonly lamenting, “Back in my day, pitchers used throw 30 complete games a year,” but rather that it seems that more and more pitchers can’t even finish a full season. I’m sure Joe, as a coach and former player, will have a more informed opinion on this, but shouldn’t pitchers be A) taught better mechanics at every level (High School, College, Minors) B) stretched out at every level in preparation for (eventually) a full season in the major leagues? As for the way the Mets handled Harvey, I can think of two or three occasions where I felt Terry Collins let him throw too many pitches (over 110, which is high by today’s standards). Otherwise, they’ve been trying to give him extra rest, and have made it clear that he was on an innings limit of about 210 for the season, which would have been about 40 more than he pitched last year. Most major league teams use similar guidelines for their young pitchers. Harvey threw 170 innings between Triple-A and the majors last year, and 178 this year. A 24 year-old should be able to handle that kind of workload. I’m not blaming Harvey – not at all – I blame the culture in baseball that seems to leave young pitchers unprepared for the major leagues. This is yet another frustrating development for a team, and a fan base, that can’t seem to catch a break. However, like every sports franchise, the Mets must adapt to their new Harveyless world (for however long that will be the case), and have a backup plan that doesn’t include him for the better part of 2014. Since I’m always looking for a silver lining (lest I go crazy), this could mean the Mets come out of Spring Training 2014 with a rotation of Rafael Montero and Noah Syndergaard joining Zack Wheeler, Jon Niese, and Dillon Gee, which isn’t half bad. That is, if they stay healthy. Remember, Niese is pitching with a partially torn labrum, and who knows who the next victim of arm trauma will be. On a day like this, even the silver linings look gray.